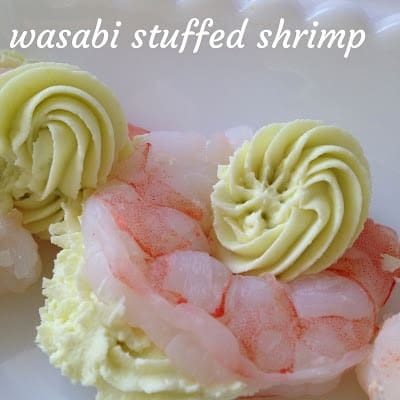 Wasabi Stuffed Shrimp is a fast, easy and delicious appetizer. Whether your staying in for New Years Eve or attending a New Year’s Eve celebration, this is the perfect appetizer to make. 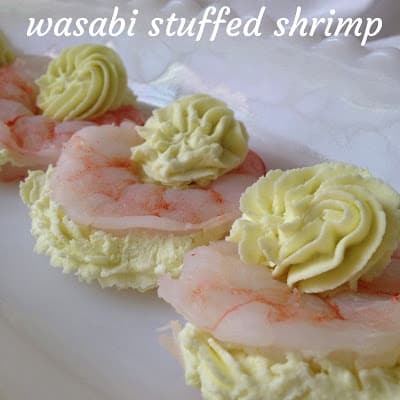 Softened cream cheese is mixed with prepared wasabi and piped into shrimp pockets. 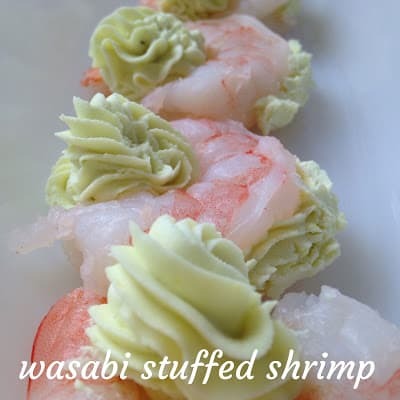 Prepared wasabi can be found in most grocery stores, located in the spice section or the Oriental section. It comes in a tube and is very inexpensive. 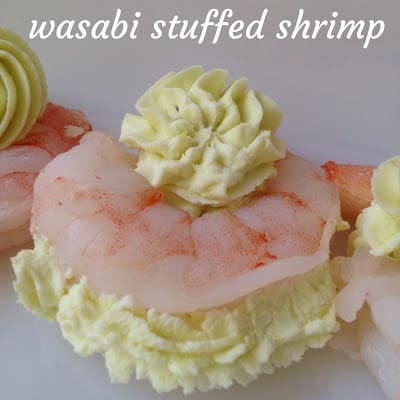 In a small bowl, place cream cheese, wasabi paste and salt. Using an electric mixer, beat until well blended and creamy. Cut a slit in the back of each shrimp. cutting almost all the way through. 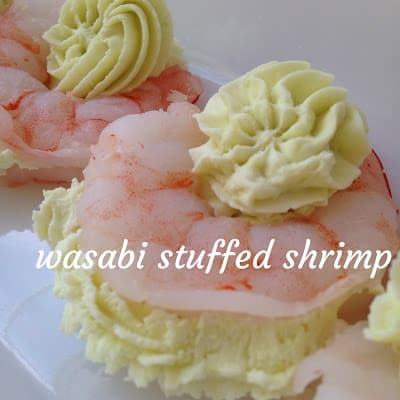 Use a small spoon or pastry bag, stuff each shrimp with some of the wasabi cream cheese.